A 24-year-old mother of two has become a beacon of hope to many who may think that it may well be the end of the road in education. But not for Taletoka Valemei. Not only did Ms Valemei finish what she couldn’t complete way back in 2012, but five years later she passed her Year 13 examinations. The Nabua Matua Programme student scored 275 out of 400 in the Fiji Year 13 External Examinations. The advice of the woman from Cawaro, Udu, Macuata is: “To young girls or single mothers out there, we all make mistakes but learn from it, and turn in a direction where you know that you will succeed in future. “You have to do what is right for yourself, nobody else is walking in your shoes. Life goes on. As she shared these profound words, she also shared the struggles and challenges she had to go through and her parents, whom she says became a pillar of strength in her most challenging moments. When Ms Valemei found out she was pregnant, just weeks before her Year 13 external examinations, she panicked. 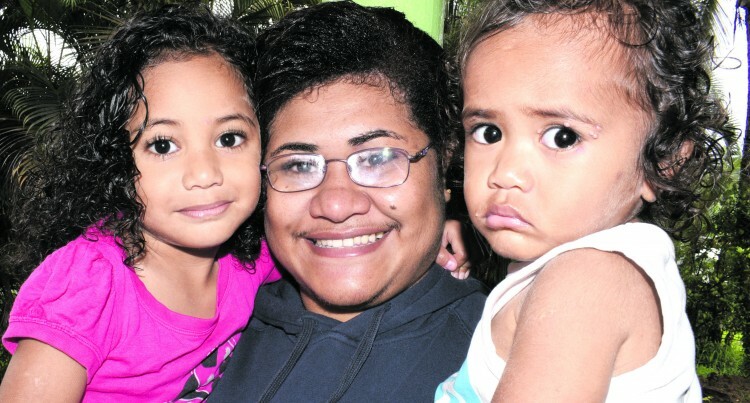 Her boyfriend then, now husband, was still studying at the Fiji National University. She thought of all the possible things that could happen. What would people and her friends say about her? The ridicule and how she would cope with the child? She wanted to sit for the Fiji Year 13 Examination but she was thinking about the baby growing inside her. Then she told her parents. “I was frightened, shocked and my mind was everywhere the time I knew I was pregnant,” she said. Being the youngest in the family, she said she grew up privileged and was spoiled. “My parents cried because they never thought it was going to happen to me. “At first they did not want me to get married, but for me to return to school. She married Mosese Tale in 2013 when she was nine months pregnant and enjoyed life being a mother to her beautiful daughter Steena Rosi, now four-years-old. But like all marriages, she faced a lot of ups and downs and they both decided to separate for five months. In 2015 she worked as a shop assistant to look after her daughter. Her husband returned and they worked on their marriage. And they welcomed their second child Moses Tale Jnr who is now one-year-old. “Through those difficult times, my parents and siblings kept advising me to return to school when my son turned one. She attended evening classes from 5pm-8pm. Sometimes she walked from school and would reach home late into the night. She said: “Sometimes when I’m in school I think of my two children. “Some people gave bad comments about me, but I don’t bother about what they say. And she no doubt has. Next year Ms Valemei plans to attend the University of the South Pacific pursuing an undergraduate degree in Bachelor of Arts majoring in History and Geography.